Enjoyed with salad and a drizzle of tahini dressing, or stuffed in a wrap with pickles, spicy sauce, pickled cabbage plus a side of hot chips, falafels are the world’s second favourite way to eat chickpeas – after hummus, of course. Those of us who love falafels probably have a distinct memory of our most favourite one. Or maybe that is just me. The best one I can remember was early last summer. Our niece Madison was over from Florida and, capitalising on some fair weather, we were doing a bit of sightseeing and errand running in the studenty Southside district of Edinburgh. Anyone who knows Edinburgh will know that this university area is dotted with cheap and cheerful cafes, restaurants, bars, walk-up windows, and even the odd converted police boxes selling crepes and coffee. Suddenly, absolutely starving, we were fairly desperate to get some food – and fast. It was a bit windy and cool so hot food, hot fast-ish food, was what we craved. We walked into the tiny takeaway space on the side of a quiet Lebanese restaurant and were immediately assailed by wonderful spicy aromas, the smell of frying oil and the sight of a young man tending a revolving spit of lamb. We definitely weren’t up for a kebab but we spotted a grandfatherly gentleman hunched on an old wooden stool, digging gloved hands into a big plastic bowl of what I can only describe as “stuff”. He rolled large pinches of it in his hands then dropped the cricket ball-sized hunks into a deep fat fryer, where the beige, nondescript balls spun in the heat, turning deep golden and delectably crunchy. What better fast food fix is there than a freshly made falafel wrap? The old chap was delightful, happy to find four starving customers in his otherwise empty shop. He wouldn’t take our simple toppings request of tahini sauce and salad as our true wish, instead piling the oversized bread wheels with chilli sauce, salty white cheese, homemade pickles and vinegar-soaked pink onions. He slapped each one in a hot press, from where it emerged minutes later, a golden pillowy bundle, ready for hungry bellies. We ate these sitting on plastic bags, watching groups of white-clad men playing Saturday cricket, the glowering clouds daring us to stay longer. As we stretched out on the long grass, hearing the thwack of leather on willow and talking about everything and nothing, those crispy, earthy falafels could have been a skimpy sandwich or the finest morsel from a Fortnum & Mason hamper. What mattered was not what filled and sated our growling bellies but what brought us together under that leaden sky watching a game three out of four of us didn’t understand. I won’t get all soppy and sentimental (oops, too late), but you know what I mean. These falafels are in no way like the perfect ones from an obvious expert, but they are good and – suitably for food to glow – baked. Fry them if you wish, but with the sesame seed coating you will get a mouthful of crunch before you hit the soft and flavour-packed innards. The two sauces are a must, too. And fries, if you got ’em. What strong food memories do you hold? Is it about the food, or more about the situation? Traditionally raw, soaked chickpeas would be used – and really this is the best way – but I can’t properly digest them (even these ones and the ones referred to above were “tricky” for me, although delicious) so tend to stick with the cooked pulses – it’s quicker too. Using tinned does make them a bit softer, as does baking over frying, but I dry the chickpeas in the oven; and of course the crunchy coating of sesame seeds makes all the difference. If you are wishing to do a version with raw, overnight soaked peas, here is a lovely falafel recipe by Bintu, from Recipes From A Pantry. Drying the cooked chickpeas in the oven. 2. Steam the sweet potatoes for 10 minutes (do not boil) or until soft; allow to steam dry and cool separately to the hot pan. Mash roughly and set aside. You could instead roast the sweet potatoes in a little oil for 15 minutes or so, then mash. 3. While the potatoes are steaming, pour the chickpeas onto a baking tray and roast in the oven for 10-15 minutes. This is to drive out some of the moisture. You can skip this step, but I think it helps with the texture. Remove from the oven and set aside. 4. Heat 1 tablespoon of the oil in a frying pan, then add the onion and garlic. Saute for about five minutes then add the oregano, turmeric, pepper, za’atar and heat for one minute. Remove from the hob. 5. Add the chickpeas, mashed sweet potato and everything in the frying pan to a food processor, along with the parsley, salt, lemon juice, gram flour and baking soda. Pulse until all is mixed but not a paste. Scrape the mixture out into a bowl and refrigerate for at least one hour. While the mix is resting, pour the sesame seeds onto a plate. 6. When you are ready, preheat the oven to 180C fan/ 200C/400F. Make up the falafels by rolling into small, walnut-sized balls. Coat the balls in the sesame seeds and flatten; place onto a baking paper-lined tray that you have slicked with half of the remaining oil; brush on the remaining oil, using more oil if needed. Bake in the oven for 25 minutes, carefully flipping halfway through the time. Serve with my chimichurri sauce (minus the beans) and the following green tahini sauce. 1. Finely mince the herbs or chop in a small food processor/mini chopper. 2. In a small bowl, mix the tahini with the lemon juice and the salt. Gradually stir in the yogurt, adding a little bit at a time or it will slop everywhere as the tahini is a bit like quicksand.Stir in the herbs and season to taste. Serving: These are brilliant with salad bits and pieces, pickled vegetables, freshly vinegared slices of red onion, as well as in a flatbread wrap. Any leftovers are good warmed or cold with roasted vegetables or chopped crunch vegetables. I’ve even crumbled some into an omelette. [ Smiles ] Another lovely vegan recipe! 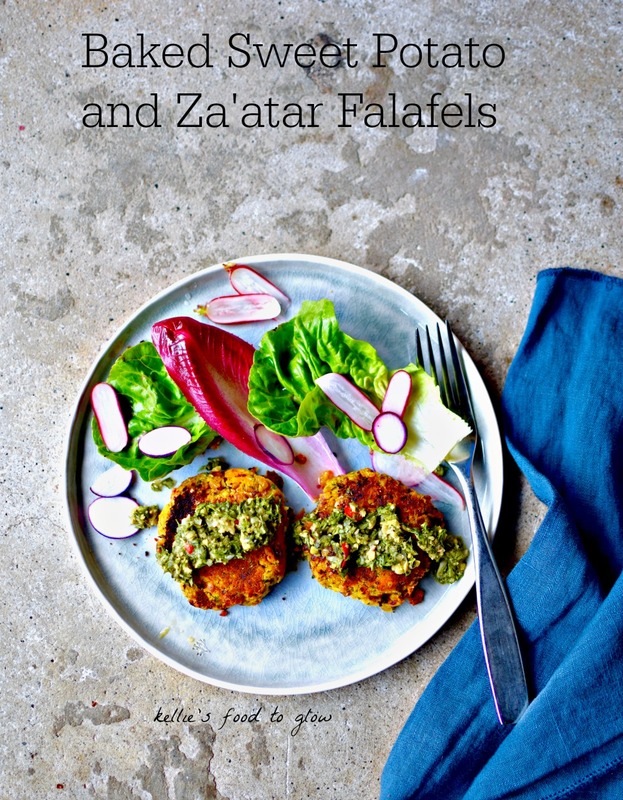 Another great recipe; that too, just in time to satisfy my falafel craving! Thanks! This is the first time I hear of a falafel made with sweet potatoes. Sounds like fun – will try, thanks! We live and learn – thanks! Cor blimey Kellsbells (new nickname) another winner – can’t wait to try this cracker!!! I love falafel but sometimes I find them a bit dry. I’m guessing the sweet potato makes them a bit moister? These sound amazing Kellie, you really need to have a restaurant or at least a cook book:-)! Those look wonderful Kellie. I do love this style of food. Talking of love, I love the Lebanese restaurant up beside Edinburgh Castle. Have you been there? Absolutely loving your description of your local Lebanese place and the two gents who were cooking, especially falafel man! Love the look of these, I imagine sweet potato really adds a wonderful flavour dimension. I’m so into sweet potatoes right now and I love the idea of making them into falafel! Thanks so much for the recipe, I am going to pin it for later. I’ve seriously been craving Mediterranean food as of now. What a coincidence that I ran into this amazing recipe!! Yeah, I need this is my life. Immediately! This looks so delicious! Can’t wait to try it out. How long do the leftovers usually keep for (assuming you don’t wolf them down in one go)? Made the recipe last week, using leftover baked sweet potato and omitting the onion for my sulfite intolerant husband. Gosh, this was really good! The sweet potato and the mashed chick peas are a winning combination. I had it with red pepper strips, and am now thinking of using it as stuffing for red peppers. 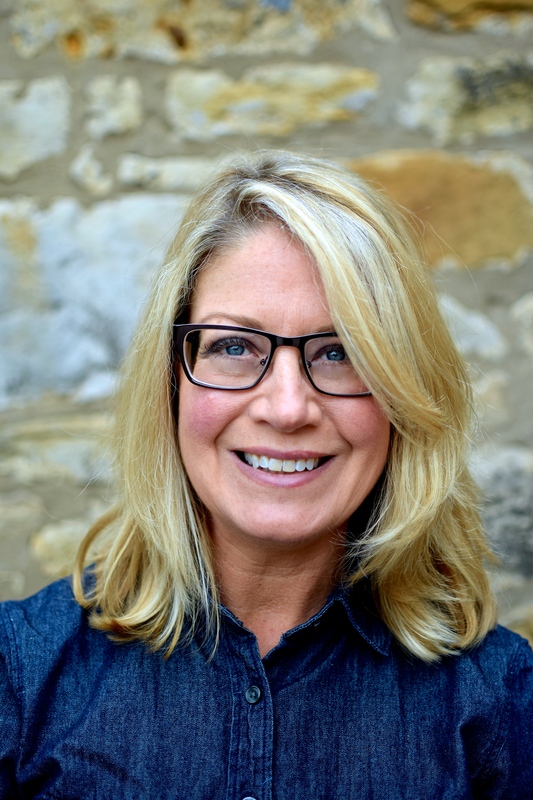 Thank you, Kellie! I’m thrilled that you liked them! Thanks so much for taking the time to let me know. Your meal plan for it sounds delicious! The falafel in Israel is a thousand times better than anywhere else, I swear. It’s worth flying here just for it.